Did the ashes from mass cremations fit into the mass graves at the Operation Reinhard death camps? At the Operation Reinhard death camp of Belzec, the amount of human ash and wood ash created by the cremation of 600,000 corpses could not fit into the mass graves. This ash would have filled the mass graves with a left over equivalent to “60 railroad freight cars.” There is no way the Nazis killed this many victims at the Operation Reinhard death camps. For example, Carlo Mattogno, an Italian Holocaust denier, asserts that, by his calculations, there was too much wood ash and human ash from the mass cremations to be reburied in the mass graves. According to Mattogno, this proves that Belzec was a “transit camp” for Jews being deported further east, not a death camp. The claim of Holocaust deniers is incorrect. They assume the weight of the bodies and the amount of wood needed for cremation, but their figures are not realistic. When including more realistic figures, there was more than adequate space for reburial of the ash. First, Mattogno uses 46 kilograms for the weight of an average body. Multiplying by 600,000 remains, he comes up with 1,350 tons of human ash, with a volume of 2,560 cubic meters. Second, Mattogno claims that the 96,000 tons of wood would have created 7,680 tons of wood ash, with a volume of 22,600 cubic meters. The total volume of ash is therefore 25,300 cubic meters (2,700 + 22,600). Andrzej Kola is an archeologist who surveyed the Belzec camp in 1997-1999. He found that the graves were 15,840 cubic meters and, therefore, there would have been about 6,760 cubic meters of ash left over. So, how wrong are Mattogno’s figures? Mattogno’s figures for both the total weight of human remains and the total weight of wood are far too high. Mattogno’s figure for the average weight of a body was 45 kilograms. However, the actual average weight of a body was 25 kilograms. Mattogno’s over-estimated numbers for average body weight is almost double a more realistic average. Similarly, the real total amount of wood required was about 6 times less than the amount Mattogno calculated. The ratio was closer to 1 kilogram of wood for 1 kilogram of remains (a 1:1 ratio). Using more realistic figures for the mass cremations in Belzec, the total amount of ash produced was closer to 1,500 cubic meters of human ash and 3,530 cubic meters of wood ash. 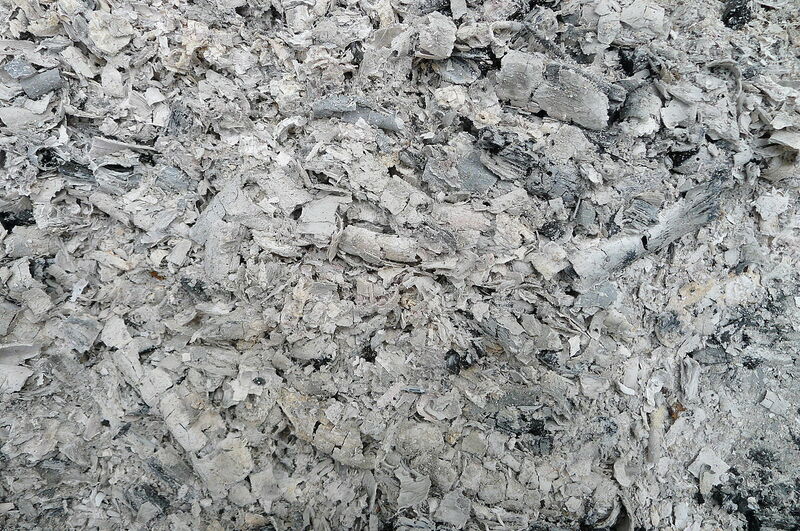 This is a total of 5,030 cubic meters of ash, which is 32 percent of the total known area of the mass graves. Even arbitrarily increasing the realistic figures, just for argument’s sake, would not use up 100% of the mass grave volume. Increasing average body weight to 35 kilograms and increasing the ratio of wood per 1 kilogram of human body mass (a 2:1 ratio from a 1:1 ratio) would produce a total of 9,760 cubic meters of ash: 61 percent of the total volume available in the mass graves. Recall, too, that the figure of 15,840 cubic meters is the minimum volume of the mass graves, as two of the largest graves extend outside the current area of the camp (onto private land) and could not be measured. Mattogno’s calculations of average body weight and amount of wood do not correspond to reality. Because his figures are grossly inflated, his conclusions about the amount of wood and human ash produced are invalid. Using more realistic figures, one finds that there was more than adequate space to re-bury the ash produced from mass cremations. Carlo Mattogno, Belzec in Propaganda, Testimonies, Archeological Research, and History (Theses & Dissertations Press, 2004), p. 86 at http://vho.org/dl/ENG/b.pdf. Carlo Mattogno, Belzec in Propaganda, Testimonies, Archeological Research, and History, p. 108. Chil Rajchman, The Last Jew of Treblinka: A Survivor’s Memory 1942-1943, translated from the Yiddish by Solon Beinfeld (Pegasus Books, 2009), p. 78.